A few decades ago, we only have a few options when it comes to braces. But today’s orthodontists have more kinds of braces to offer! Put your worries behind and let us take a look at the available Braces HK that you can choose from before you schedule an appointment with your orthodontist. Also called “traditional braces.” This type is made of metal braces and wires and the most common idea when we hear “braces.” The modern brackets are now smaller and are less noticeable. The new heat-activated archwires are using your body heat to help the teeth move quickly making the correction less painful. 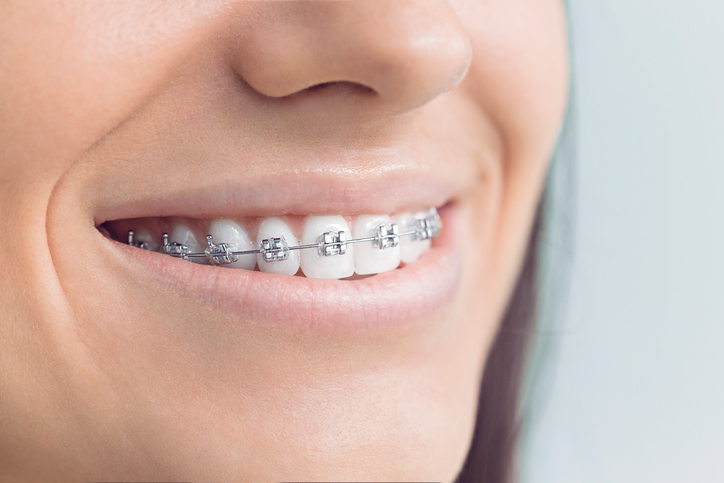 Ceramic braces are closely similar to metal braces in size and shape. What makes it different are the tooth-colored or clear brackets that blend with the teeth. Some orthodontists use tooth-colored wires for less visibility. The same as metal braces but the wires and brackets are placed behind the teeth and not in front. This is not most recommended for severe cases and can be uncomfortable at first. Gentle and continuous pressure will be applied onto the teeth to slowly shift them into proper position. Treatment can take from 18 to 36 months depending on the case of the patient. Comes in a series of 18 to 30 custom-made clear plastic aligners. They look like mouth-guards and are also removable and should be replaced every two weeks. Having braces need more effort when caring for it. It may be difficult for the first time, but you’ll get the hang of it. It is important that you clean your mouth and teeth as often as you want your healthy pearly whites. Brushing. Brush your teeth twice a day using a soft and round-bristled toothbrush. Start with the exterior surface of your teeth then brush the inside. Floss. It may be impossible if you have wires but is highly essential if you have braces. Floss daily or use an interproximal brush to remove plaque and other food debris between teeth. Oral Irrigation. This device can be used to flush out food debris that is trapped around the brackets and teeth. Mouthwash. Highly essential especially when you just got your braces. Your mouth is not used to the metal brackets and wires and can easily collect more food particles and plaque. Using mouthwash can kill remaining bacteria in your mouth. Gargle With Salt Water. Usually the first advice your orthodontist has given you when you first got your braces. It helps reduce inflammation, relieves pain and soreness, and keeps your teeth clean. Having braces can be a bit much for your budget but it is worth every penny. Take a look at the options mentioned above and see which one fits your budget and preference. ← How to choose a canopy tent for your next get-together?